“IT might be cheaper for council to buy this settler out,” remarked Cr Head, at Monday’s meeting of the Berwick Shire Council, when a letter was read from F. Manestar, of Beaconsfield, who is seeking an outlet from his property. “Undoubtedly,” replied the shire president (Cr Robinson). “That’s what they’re doing in America, anyhow,” proffered Cr Head. Mr Manestar complained that Charlie Hillbrick had accompanied the engineer on his inspection and had got a road into his place, whereas he (the writer) had got none. The engineer, he claimed, had been misled about the ground on the side where Hillbrick wanted the road, not being flooded. Three bridges would be needed, whereas only one would be necessary on the route he advocated. Dealing with the same problem, Mr John P. Rhoden, solicitor for Mr J. Edebohls, of Narre Warren East, wrote pointing out that the statement that the Hillbrick Road outlet was constructed by the Ferntree Gully Shire was incorrect. He had been informed by Mr Heaney, engineer of that shire, that it had constructed no such road through allot. 30B, Narre Warren. Mr Rhoden inquired just what the position was. Cr Gardiner declared that the disputed road was a cutting off a Government road. Residents said it was made 30 years ago! It did not matter whether it was constructed by the Ferntree Gully Shire or not. They should clear the matter up by getting Ferntree Gully Shire to declare it a council road. Mr Ahern: Mr Hillbrick has already approached Ferntree Gully and been knocked back. Hillbrick says Edebohls was working on the road when it was constructed, and carried it on to his place. THE engineer reported that, in company with Cr Gardiner and Mr Heaney, engineer for Fern Tree Gully Shire, further inspection was made of the road in the Ferntree Gully Shire, leading to Hillbrick’s block on Cardinia Creek. As the existing road through Allot. 30B has now been closed, Mr Heaney suggested that the Ferntree Gully Shire might consider the construction of a new road, provided Berwick Shire would contribute towards the cost. As this is the natural outlet for ratepayers on Berwick’s side of the creek, Mr Keys recommended that the council seriously consider the suggestion. Cr Gardiner said that Mr Heaney’s promised estimate had not yet come to hand. Asked to give a snap estimate, Mr Keys said that the work should cost roughly about £60 or £70. Cr Gardiner thought that as these people had gone in and made their homes in unpromising country and were making good, council ought to help them along by constructing the road. The engineer said that by putting another 3½ chains through De Silva’s, they would be giving Manestar an outlet. THAT he was waiting on the construction of the road to get his house built and to get his potatoes out, was the plea of Mr C. Hillbrick, of Glen Iris, in drawing council’s attention to the fact that no further progress had been made in regard to the promised outlet to his property at Upper Beaconsfield. He wanted to get in there to live for health reasons, he said, but he was only one of four in the locality seeking an entrance to their properties. His wife had seen Mr Heeny, the Fern Tree Gully Shire engineer, and he had stated that he didn’t think anything could be done until they put up £20. Will Put Premier On Council’s Track! Saying that something should be done in the matter, Cr J. Gardiner said he thought the Fern Tree Gully Shire was actually dodging them. He wouldn’t be at all surprised if there was something in Mr Hillbrick’s complaint. [S66] Berwick Shire Rates, 1870-1965 Hayes Estate of Josiah [sic] - per 1 Apr 1939 to Charles Edward Hillbrick & Charles Jolly. [S185] Property Titles. ; PROV (Public Records Office Victoria), C/T 3000-890 - Charles Edward Hillbrick of 19 Carroll Crescent Glen Iris Brick Carter and Charles Jolly of 69 Edgar Street Malvern Laborer - proprietors as tenants in common in equal shares - C/T 6283-538. [S185] Property Titles. ; PROV (Public Records Office Victoria), C/T 6283-538 - Charles Jolly of 69 Edgar Street Malvern Laborer - C/T 8037-907. [S218] Newspaper - The Dandenong Journal (1927-1954) "The Dandenong Journal (Vic. : 1927 - 1954), Wed 22 May 1940, p12." [S218] Newspaper - The Dandenong Journal (1927-1954) "The Dandenong Journal (Vic. : 1927 - 1954), Wed 24 Jul 1940, p6." [S218] Newspaper - The Dandenong Journal (1927-1954) "The Dandenong Journal (Vic. : 1927 - 1954), Wed 26 Feb 1941, p6." 5 Dec 1950, Death of mother: ROVETA: On December 4, 1950, at the residence of her daughter, Mrs. P. J. Keighley, 36 Reeve street, Swanbourne, Mary Grace, dearly beloved wife of Bob Roveta, loved mother of Zita (Mrs. F. J. Keighley), Henry, Lena (Mrs. R. McLeod), Anna (Mrs. R. Tombs), Victofla (Mrs. E. White), Josephine (Mrs. J. Manning), Norma (Mrs. C. Horrigan), and the late Philip (Bosy) (H.M.A.S. 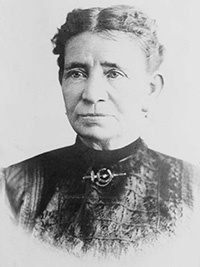 Perth), mother-in-law of Elsie and grandmother of Rena; aged 70 years. R.I.P. 20 Jan 1954, Death of father: ROVETA: On Jan. 19, 1954, Isadore, beloved husband of the late Mary Grace Roveta and loving father of Zita, Harry, Lena, Anna, Josephine and Norma, also Phllllp (deceased). To be Privately interred this (Wednesday) afternoon. Bowra and O'Dea, Funeral Directors. Perth. BA4308. ROVETA (Isadore): Passed away Jan, 19, beloved father and father-in-law of Zita and Fred Keighley, loving grandfather of Jim and Phil. ROVETA: On Jan, 19, Isadore, beloved father of Lena, fond father-in-law of Bob McLeod and loving grandfather of Helen, Judy and Barbara. ROVETA (Isadore): Departed this life Jan. 19, beloved father of Anna, fond father-in-law of Tom Macauley, loving grandfather of Rena. [S80] Ancestry - Family Tree, Amison Family Tree - Ashlee Amison. Marriage* 25 Aug 1891 Spouse: Sophia Jane Witchell. Melbourne, VIC, Australia, no marriage registered - his correct name was probably Arthur WILLIAMS. 15 Jul 1898, North Melbourne Police Court. Monday, July 11th, 1898. Before Dr. Lloyd (Chairman) and Messrs Wadick (Mayor), and Barwise, Js.P. ASSAULT. Arthur Williams was presented for assaulting Sophia Horrigan. Prosecutrix swore that she was a married woman living apart from her husband. Accused stayed at her house. On Saturday last, Williams had a row with her, and struck her with a candlestick. He also threw an axe at threatened her life. She did not give him any provocation. Mrs Lever bore out the complainant's evidence. [S14] Newspaper - North Melbourne Gazette (Vic. : 1894 - 1901), Fri 15 Jul 1898, p3. [S336] "Dorothy was twin sister of his father." Marriage* 25 Aug 1891 Spouse: Henry Arthur Horrigan. Melbourne, VIC, Australia, no marriage registered - his correct name was probably Arthur WILLIAMS. Death-Notice* 30 Aug 1915 BRUNDRITT.—On the 28th August, at her residence, 39 Thomson street, South Melbourne, Sophia, the dearly beloved wife of Charles Brundritt and loving mother of Connie, Ernie, and Dot, aged 63 years. BRUNDRITT. — The Friends of Mr. CHAS. BRUNDRITT are respectfully invited to follow the remains of his dearly beloved wife, Sophia, to the place of interment, the Coburg Cemetery. The funeral is appointed to leave his residence, 39 Thomson street, South Melbourne, THIS DAY (Monday, 30th inst. ), at 2.30. 8 Apr 1899, SHE CAN'T MANAGE IT. Sophia Horrigan, who was called upon to show cause why she should not contribute towards the maintenance of her child by the state, said she was unable to give anything out of her earnings. She had done her best to find the father of the child but had been unable so far. [S3] Registry of Births Deaths and Marriages Edwardian Index Victoria 1902-1913 "#M3806 & #M3806R - listed as Sophia WITCHELL & MITCHELL." [S4] Registry of Births Deaths and Marriages Great War Index Victoria 1914-1920 "Margaret VEITCH was John WITCHELL's second wife." [S11] Newspaper - Argus The Argus (Melbourne, Vic. : 1848 - 1957), Mon 30 Aug 1915, p1. [S14] Newspaper - Record (Emerald Hill, Vic. : 1881 - 1954), Sat 8 Apr 1899, p3. [S22] Victorian Government. BDM Index Victoria (online) "Place of birth Tumut New South Wales." [S337] Index of monumental inscriptions/burials, https://billiongraves.com "Springvale Cemetery - gives birthdate as 5 Nov 1893." [S22] Victorian Government. BDM Index Victoria (online) "as William McDonell LOWDEN." [S337] Index of monumental inscriptions/burials, https://billiongraves.com "Springvale Cemetery." [S22] Victorian Government. BDM Index Victoria (online) "born Melbourne."